The Louis Vuitton collaboration with Japanese artist Yayoi Kusama is a fascinating one in so much as LV is the world’s iconic brand for supporting craft and artisanship today. 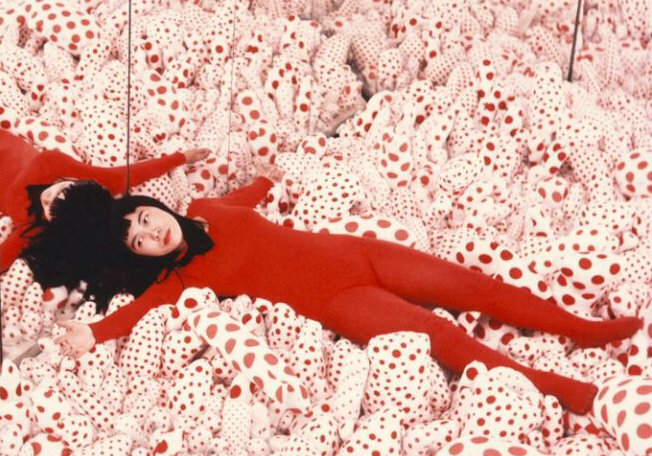 Yayoi Kusama is well known for suffering from mental illness; indeed, she resides in a psychiatric ward, as mentioned in the Louis Vuitton film. Here at Slow Textiles, we have been talking about the importance of mental capital as the potent yield in craft, art and practice for several years. Hitherto, this has not been a fashionable conversation. Mental capital not only creates social and cultural capital but resource capital too. What more extreme example is there than Marc Jacobs holding a Kusama Vuitton handbag? 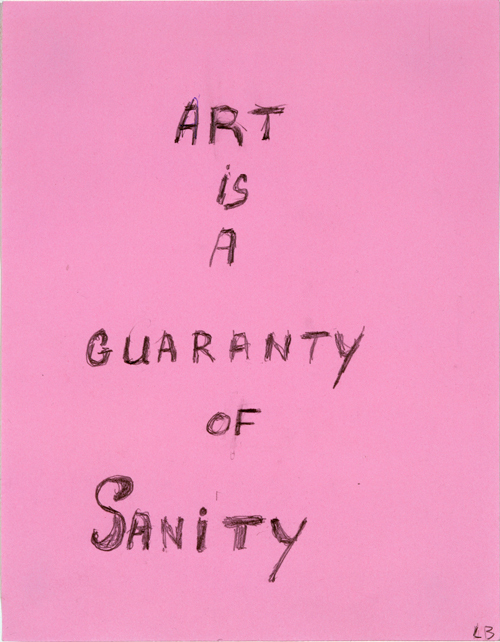 The connections between these (practice, mental capital and resource capital) need to be spoken of more (and researched) so that we may expand the conversation of craft and its relevance today – beyond the limited dialogue of craft as Etsy-inspired glocalism. 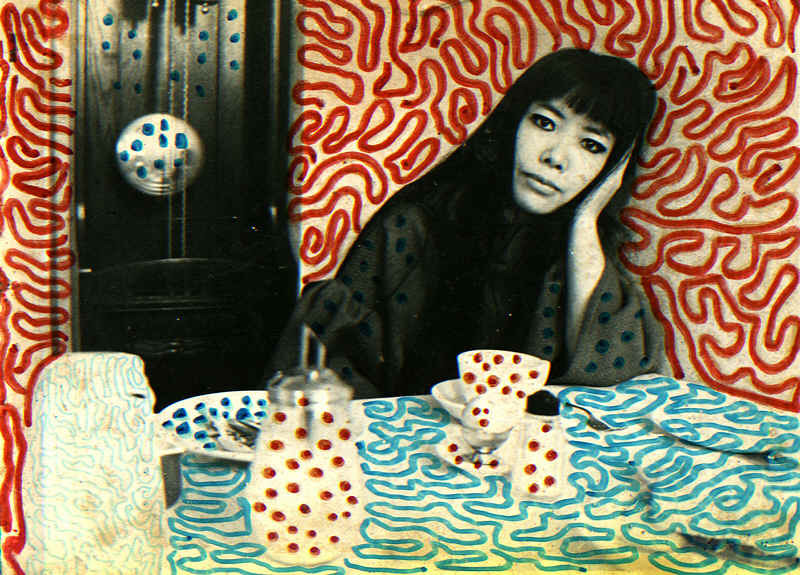 Yayoi Kusama as a young artist in one of her installations. 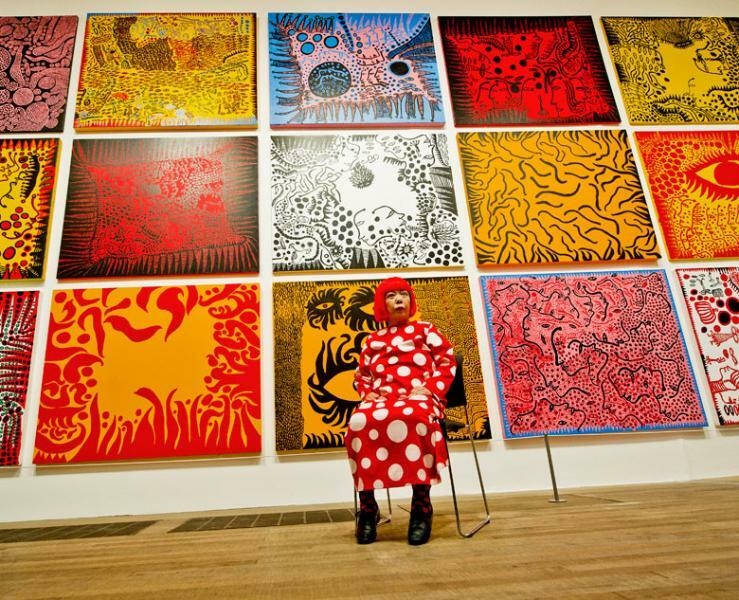 Yayoi Kusama today at her Tate retrospective, London. 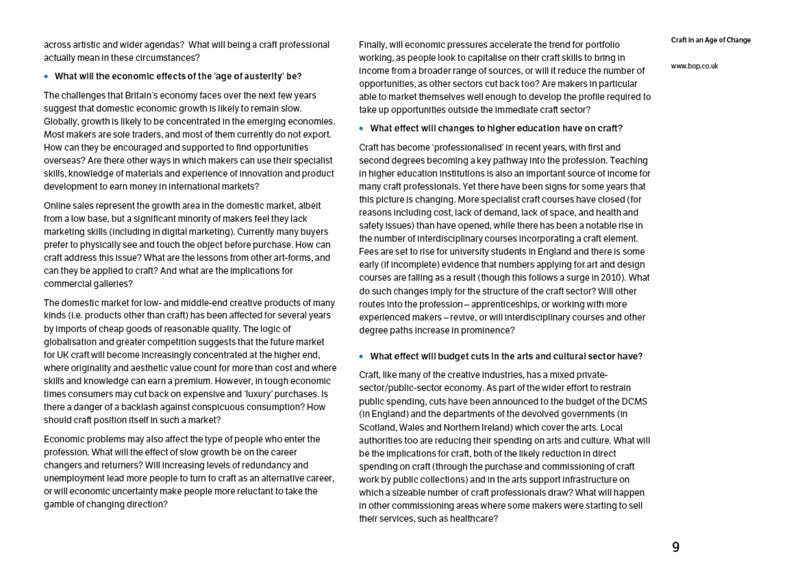 These questions are the same questions that have been asked for 40 years both by the Crafts Council and the Design Council in the UK. The limitation of the questions constrains the development of discourse, understanding and insight. In our opinion, at the Slow Studio (UK), this narrow perspective is outdated in a GDP thinking kind of way and, paradoxically, restricts growth of the sector. Nowhere is mentioned the deeper human drives and needs for gesamtkunstwerk – regardless of economic recession and ecological disaster. The Marc Jacobs, Louis Vuitton and Yayoi Kusama collaboration gives us a great place to start. The young artist covers all surfaces with pattern.